One more Mukluk ride before heading home. We could not have asked for better weather and conditions. I am pretty sure I got a few good images to share. Stay tuned. 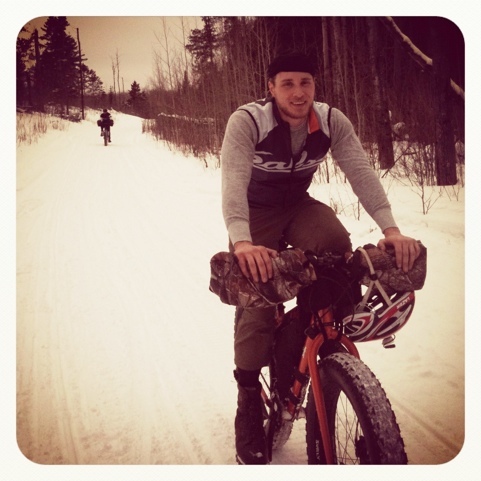 I’m heading up to Tofte on Sunday and staying for the week…any ride recommendations??? Vito, one of our favorite days was riding from down town Grand Marias up the State Snowmobile trail and then turning out to go to Devil Track Lake. You can cross the lake and loop back to the state snowmobile trail and then back to Grand Marias. Awesome day. Yep, you were driving home when we were driving up. Thanks for the invite to Man Camp. Maybe next year. I sure hope you guys had as much fun as we did. Could not have been better conditions for us.